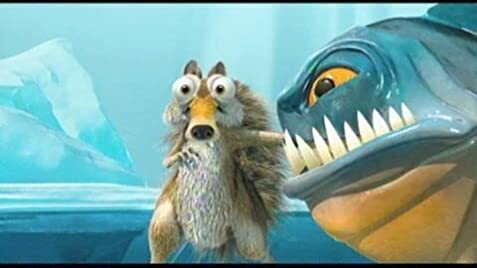 When Scrat's acorn sends an asteroid to Earth, the Herd must find a way to stop the asteroid from hitting Earth with the help of a returning friend. Mr. Start: Oy, this global warming is "killing" me! Mrs. Start: This is too "hot", the Ice Age was too "cold", what will it take to make you happy? Aahhh! Mr. Start: "This" I like! 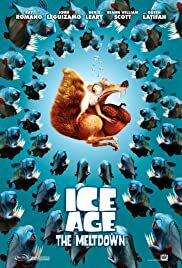 Q: Is "Ice Age: The Meltdown" based on a book? Q: How can you tell the possums Crash and Eddie apart? Highly enjoyable film. Nary a dull moment as Diego, Sid and Manny find their way through the meltdown. The peril found in the first Ice Age movie was not duplicated here. The danger wasn't as imminent due to the fact that the meltdown is partly a blessing, while the ice age itself was all bad. A subtle flaw but not something the creators could avoid unless they wanted to make a "Mid-Ice Age" movie. How the tribe survived multiple thousands of years is not addressed, but who cares? Maybe they were actually living on the ecuator in the first movie and the ice caps just reached them in the final years of the ice age. A decade later, the climate warms up and causes the mixed emotions found in Ice Age II. The central theme of friendship in spite of differences and the humor found in trying situations plays well. Overcominging fears in the face of danger is a prominent theme. Jokes fly fast and furious for all ages. And the proto-squirrel steals our hearts with his absolute devotion to caching acorns. A strong production for Twentieth Century Fox. 157 of 232 people found this review helpful. Was this review helpful to you?